Our House Terrarium can become a home for many unique things. 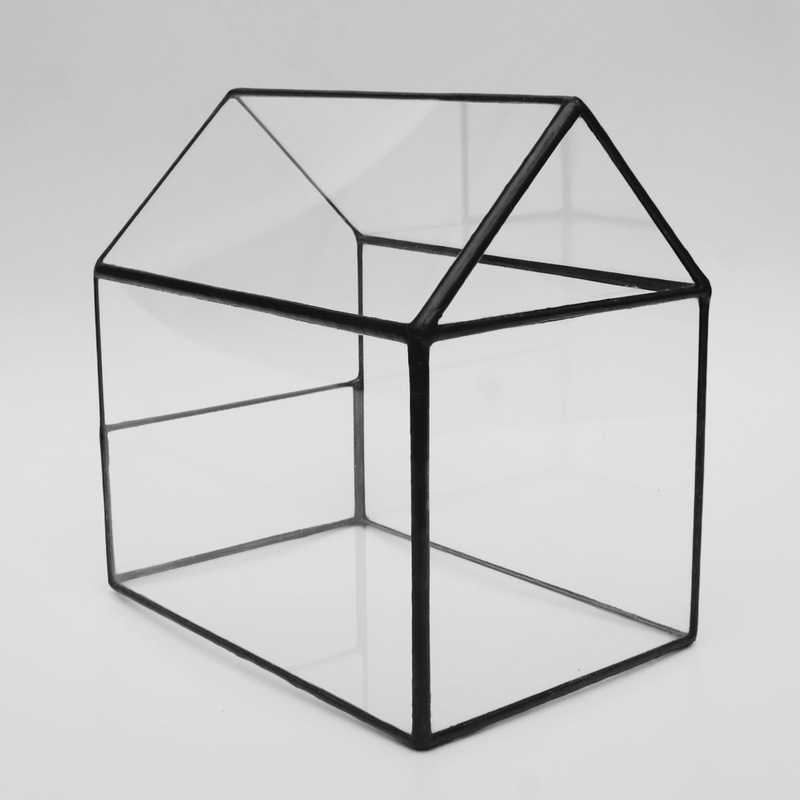 Terrariums are made to order, please allow 7 days for completion. 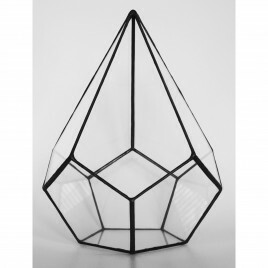 The Teardrop has a base similar to the Dodecahedron Terrarium but extends elegantly to a point. 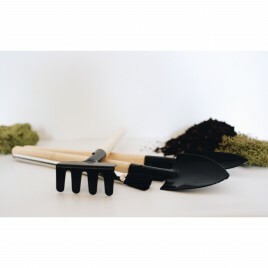 With one of its large surfaces open it creates an ideal home for tall plants. 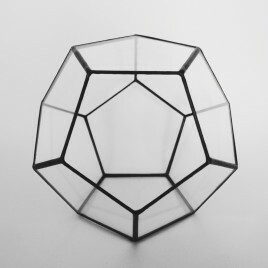 Approximate Dimension: 7.5" Wide 9.5" Tall Terrariums are made to order, please allow 7 days for completion. Custom sizes available upon request. A dodecahedron is a polyhedron with 12 faces. We left one pentagonal face open for access. 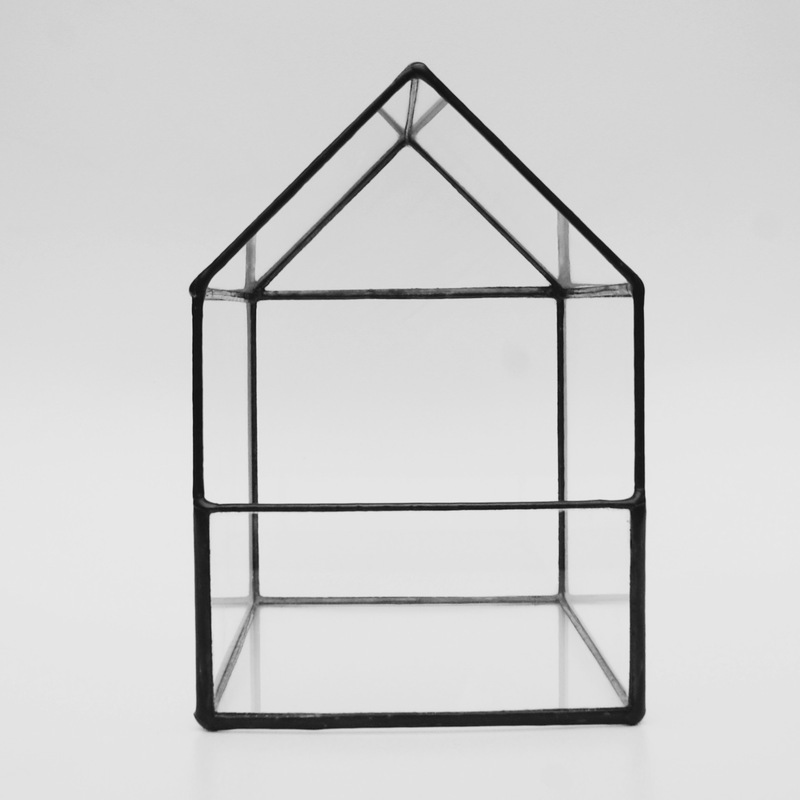 Ideal for displaying balloon cactus, airplants or left alone as an object of curiosity. Approximate Dimension: 7.5" Wide 6" Tall Terrariums are made to order, please allow 7 days for completion. Custom sizes available upon request.